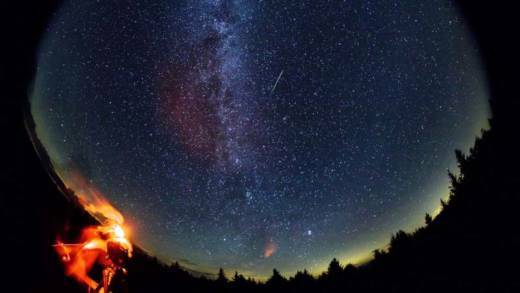 It's time for the annual "Old Faithful" of meteor showers, the Perseids. This year, the Perseids' peak of activity coincides with a moonless night, in the early morning hours of Monday, August 13 (following Sunday evening). However, the smoke from California wildfires could be the wildcard in terms of visibility. It all depends on whether ocean winds do as they're forecast and blow it out of the region. But if you're willing to chance it, dust off your lawn chairs, rinse out your coffee thermos, and brush up on your basic constellations and cardinal directions: it could be time for one of the most thrilling light shows the sky has to offer. Look for meteors after midnight (best between 1:00 a.m. and 4:00 a.m.) Monday morning. The Perseids appear to come from the direction of their namesake constellation Perseus. 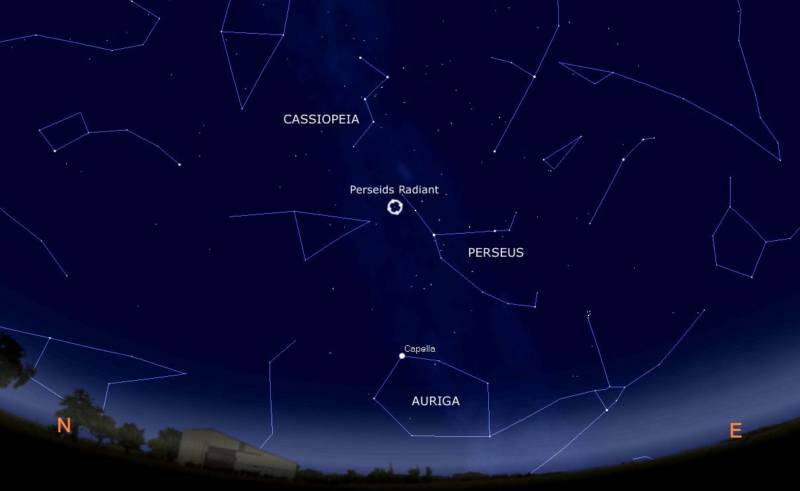 During the peak of the shower Perseus will be high in the northeastern sky, not far from the bright star Capella. Choose a viewing location with a clear view of the northeastern sky, preferably shielded from, or far away from, city lights. If you'd like some suggestions for viewing spots in the Bay Area, check this out. Chabot Space & Science Center is hosting a Perseids viewing party in Oakland, weather permitting. This year's Perseids viewing comes with a couple of bonus features. The first is a moonless night. The Moon is in waxing crescent phase, and sets early Sunday evening, long before meteor viewing hours begin. The lack of moonlight affords darker skies, and more opportunity to see fainter meteors. If you choose a viewing location far from city lights, you have a chance to spot 50-60 meteors per hour, possibly more. The second bonus is that the planet Mars, still relatively nearby following its extra-close approach on July 31, will shine bright in the southwestern sky — a brilliant ruby set among the flashing diamonds of shooting stars. Meteor showers occur when the Earth passes through a trail of dust left behind by a comet, or in some cases an asteroid, or so-called "rock comet". Comets, which are largely made of water ice and other frozen substances, along with some rock and dust, shed some of that ice when sunlight warms it into gas, especially when passing through the inner solar system where sunlight is strongest. As a comet's ices sublimate into gas and blow off into space, dust embedded in the ice is carried with it, leaving behind a lane of dust particles. When Earth plows through the dust lane at an orbital speed of 18 miles per second, friction between dust particles and Earth's upper atmosphere (between 50 and 75 miles above the surface) produces intense heat. 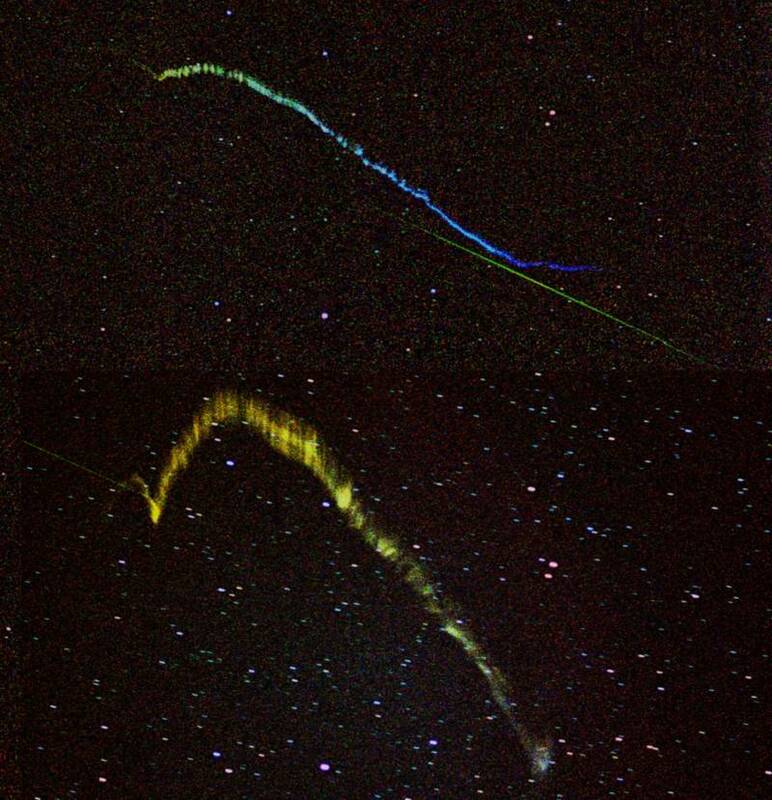 A dust particle is incinerated in a quick second, and we see the bright streak of a meteor. Most meteors that you can see are produced by particles smaller than your fingernail. The dust lane that produces the Perseids shower is left behind by the comet 109P/Swift-Tuttle, a periodic comet that orbits the sun every 133 years. The last time Swift-Tuttle passed through the inner solar system was in 1992, so most of us won't see it again in our lifetimes — but we can enjoy its "children," the Perseids meteors, every year. Shower activity began on July 17 and continues until around August 24, but tapers off dramatically before and after peak. Less than a day before or after peak you may see fewer than half the number of meteors, and only a tiny fraction beyond that. If you've never seen a meteor before, or have forgotten just how exhilarating it is to see the fleeting streak of a shooting star zipping high in the night, here's your chance. Find a dark, safe viewing spot, dress appropriately, and settle in for a dazzling show.